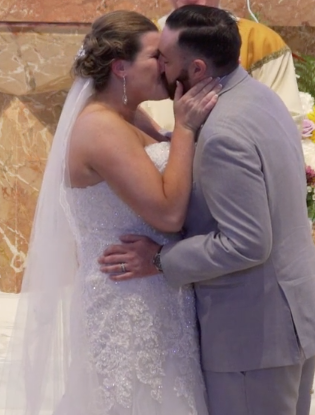 After a chance meeting in 2014, Colleen and Ryan sparked a connection that led to their wedding day. They married at St.Pious X Church in Broomall with a reception at the Mendenhall Inn. Colleen and Ryan connected in many ways, but especially because of their interest in helping young people with special needs. Their passion for helping others turned into an everlasting love. Colleen and Ryan danced their way into the reception, topping it off with a signature handshake. Friends and family gathered on the dance floor with the bride and groom to start the post-wedding celebration. With the help of Silver Sound Entertainment, guests were dancing non-stop with their newly-married friends. Foschi Wedding Photography joined us on this special day to photograph the bride and groom. Our team at Allure Films captured the heartfelt moments and new memories from the couple’s wedding day. We were happy to be a part of this day and wish for lots of luck for the newlyweds’ future together. Congratulations Colleen and Ryan! We wish you many more days filled with happiness.